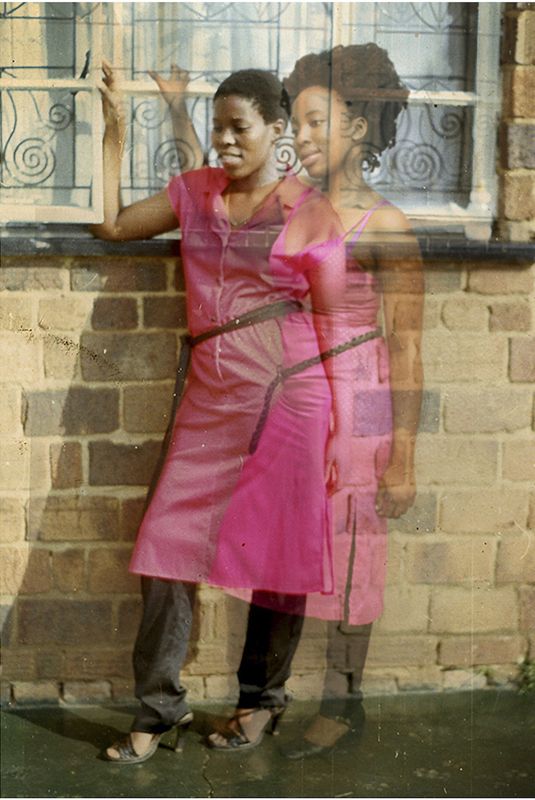 In Ethereal Images, an Artist Superimposes Herself on Old Photos of Her Mother | Hyperallergic Lebohang Kganye’s images are a poignant celebration of her mother’s spirit. South African photographer Lebohang Kganye explores family and memory in her moving photo series Ke Lefa Laka: Her-story, completed between 2012 and 2013. In a conversation with Hyperallergic, she explains the genesis of the project after her mother’s death: “I began noticing that a lot of the clothes that she was wearing in these photographs from more than 20 or 30 years back still existed in her wardrobe and I could recognize the locations.” Kganye began to photograph herself in her mother’s clothes, recreating her poses and locations in family photos. She also digitally superimposed the images of herself onto the old photos, casting herself as her mother’s ethereal double.